Turmeric is integral in Indian culture and cuisine. The vibrant yellow powder is a popular spice for curried dishes across the globe. It can also be used to make a delicious tea known as golden milk. 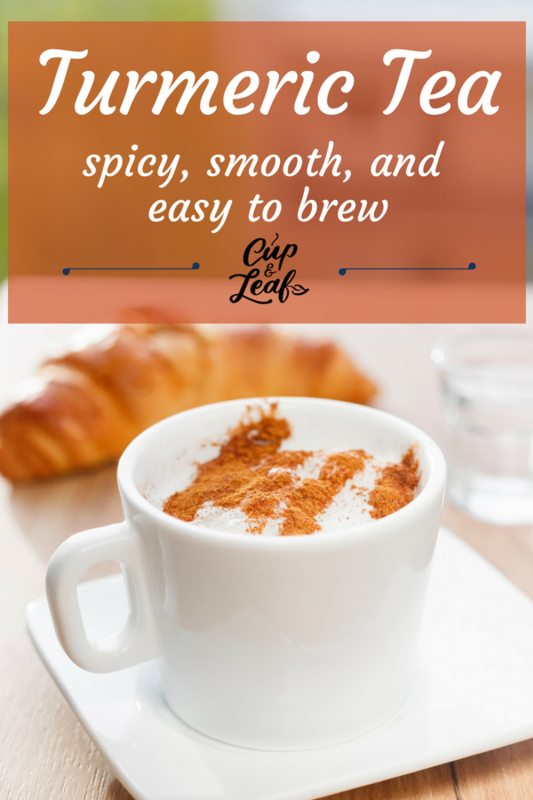 Most turmeric tea recipes combine spices with milk to create a creamy, golden drink with a flavor that is rich and smooth. Turmeric tea is a tonic that boosts overall health with an earthy, spiced aroma. Read on to find out more about this powerful tea and how to brew your own. Turmeric tea is made from the roots of the turmeric plant. This plant is native to Southeast Asia and has been used in traditional medicine thanks to its anti-inflammatory properties. India is responsible for more than 70% of the world's supply of turmeric. The main component in turmeric is curcumin, which lend the popular spice its vibrant hue. Curcumin is also the ingredient that is credited with providing most of the health benefits. Turmeric tea tastes less bitter than when eating the raw spice or root. That's mainly because turmeric tea is often brewed with a variety of spices. Turmeric tea tastes rich and spicy with earthy notes. You can easily absorb the health benefits with turmeric supplements or a cup of turmeric tea. 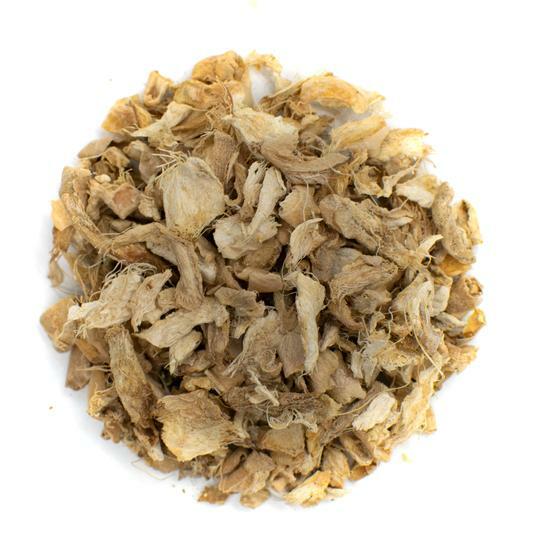 Turmeric has been shown to be a powerful aid in treating pain symptoms of arthritis (1). The Arthritis Foundation lists several studies that demonstrate turmeric's ability to reduce inflammation and soothe pain. In one of the studies, the active ingredient curcumin performed more effectively than diclofenac—a commonly prescribed anti-inflammatory medication—in treating rheumatoid arthritis (2). Turmeric tea has also proven useful in accelerating weight loss and whitening teeth. The antibacterial properties of turmeric help to fight off bacteria that cause cavities and gum disease. The curcumin in turmeric helps to protect heart health and lower LDL cholesterol. Antioxidants in the tea also help to prevent buildup of plaque in arteries that can cause heart attacks and blood clots. Turmeric tea can also boost the immune system thanks to high concentrations of antioxidants. The antioxidants fight free radicals to prevent neurological disease such as Alzheimer's as well as some types of cancer. Turmeric contains antibacterial and antiviral properties that help support immune function to ward of colds and flus. Add all of the ingredients to a small saucepan and simmer for 5 minutes. The tea will be ready once the spices begin to emit an aromatic scent. Strain the turmeric tea using a fine mesh sieve. 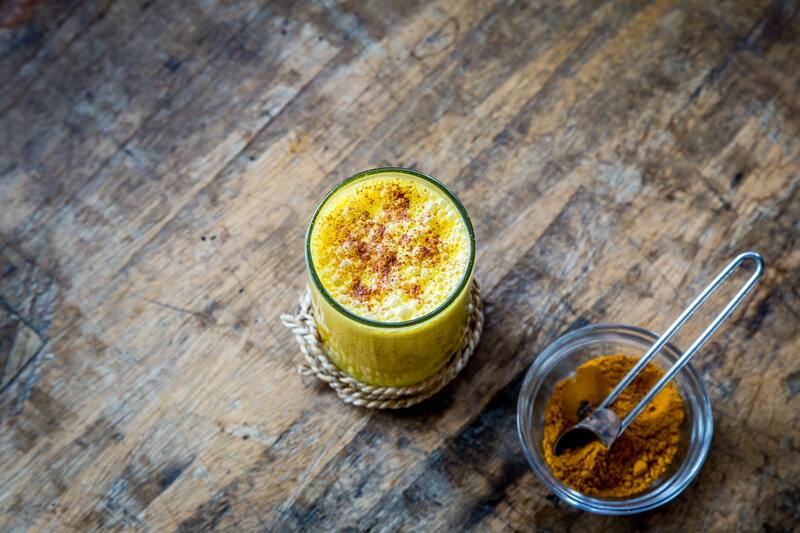 Pour the golden turmeric tea into a cup and sweeten using raw honey, coconut oil, or maple syrup. Enjoy your bright yellow milk tea. You can also make turmeric tea without the stove by using your tea kettle and a blender. Boil water in your tea kettle and add to a multi-speed blender. Toss in the spices and blend until creamy. Strain the tea with a fine mesh strainer, add warm milk, and serve. You can make your own turmeric powder by grinding the fresh turmeric root. The easiest tool to use is a spice grinder, but you can also use a blender or grater. Always use fresh turmeric roots for maximum healing properties and the best flavor. Turmeric powder is widely available at grocery stores and online for easy and fast brewing. 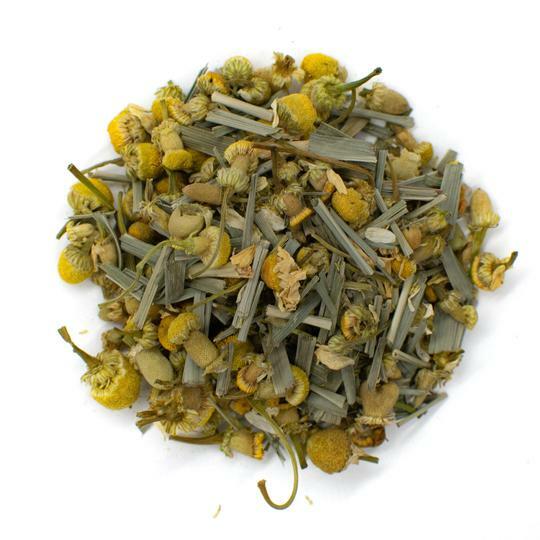 The beauty of turmeric tea is that it blends well with a host of spices to create unique tea flavors. Some of the most popular spices for turmeric tea are ginger, cardamom, garlic, and coriander. For a holiday inspired blend, use nutmeg, clove, and star anise. The tea can also have a spicy kick by adding cayenne pepper. Turmeric tea can be brewed using true tea leaves such as green tea for a powerful tea tonic. 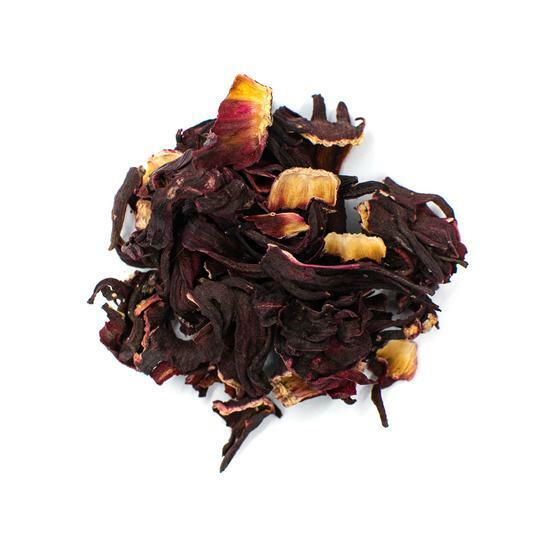 The addition of true tea leaves adds a kick of caffeine that can jump-start your mornings. Add equivalent amounts of tea leaves and turmeric powder when brewing. Drinking turmeric tea is considered safe in moderate quantities. There area few things to keep in mind when drinking turmeric tea. The beautiful, vibrant color of turmeric can stain everything from skin to countertops. Use gloves to prevent staining your hands when grinding the root into a powder. Use an apron when brewing the tea to protect clothes from staining. Mix a paste of baking soda and vinegar to remove yellow stains from countertops. Since turmeric reduces inflammation, it can interact with anti-inflammatory medications such as NSAIDs. Turmeric can also interact with medications that regulate blood sugar. Consult with your healthcare provider before using turmeric if you are taking any medications. Pregnant women can consume turmeric in culinary amounts while pregnant or breastfeeding. Experts recommend drinking no more than two cups of turmeric tea per day. Turmeric tea is a delicious beverage that can be brewed with different tastes to suit your preferences. Add the spices you love and leave the ones you don't like behind. Turmeric tea can be brewed in just 5 minutes with little preparation if using ground spices. Golden turmeric tea is one of the most popular natural remedies in Chinese medicine for good reason. It helps treat health conditions that range from obesity to neurological disease. From Asian fields to American shores, turmeric tea is a sumptuous beverage that can help you stay healthy.